Bud White: I'd like to see you again. Lynn Bracken: Are you asking me for a date, or an appointment? Bud White: ...I don't know. Lynn Bracken: Well, if you're asking me for a date, I should know your first name. Bud White: Forget I asked. It was a mistake. Lynn Bracken: Merry Christmas to you, officer. Bud White: That obvious, huh? Lynn Bracken: It's practically stamped on your forehead. 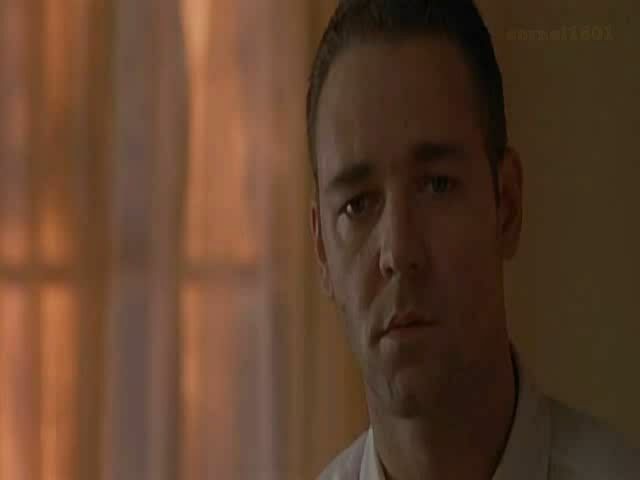 Russell Crowe as Wendell 'Bud' White Lynn Bracken: You're the first man in five years who didn't tell me I look like Veronica Lake inside of a minute. Lynn Bracken: I wondered when you'd knock on my door again, Officer White. Lynn Bracken: I don't know.